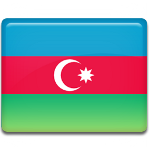 National Revival Day is observed in Azerbaijan on November 17 every year. It commemorates the 1988 public rally against the inconsistent policy of Kremlin toward Azerbaijan and the Nagorno-Karabakh conflict. The Nagorno-Karabakh conflict is an ethnic conflict between Armenia and Azerbaijan over the region of Nagorno-Karabakh, which is located in Azerbaijan but populated mostly by Armenians. The first direct confrontation between Azerbaijanis and Armenians in the region took place in February 1988. The Soviet government did almost nothing to end the conflict. On November 17, 1988, thousands of Azerbaijanis gathered at Lenin Square (now Azadliq Square) in Baku to protest against the indifference of the central government toward the Armenian separatism in Nagorno-Karabakh. It was the first large-scale anti-Soviet protest in Azerbaijan. Many historians consider it to be one of the first steps towards the proclamation of Azerbaijani independence in 1991. In 1992, November 17 was designated as National Revival Day. Although it is an official holiday, it has been a working day since 2006. The holiday is marked with official ceremonies, speeches and other events held across the country.